The year 2014 was an interesting one for the mobile segment. It saw the meteoric rise of relatively unknown Chinese phone makers steal the limelight. One such company (and phone) was the OnePlus One smartphone; a device that was designed to take on the biggest smartphones of that period. Speculators ridiculed its ambitious endeavor. However, the OnePlus One found tremendous success thanks to its high-end specs and mid-level prices. Packed with stellar hardware specifications along with support from the revered custom ROM developer Cyanogen, the OnePlus One received rave reviews across the globe. Banking on the popularity of the One smartphone, the Chinese manufacturer is geared to launch its next offering, the OnePlus Two. We scavenged our sources to gather all information about the smartphone, and its features at the same time. 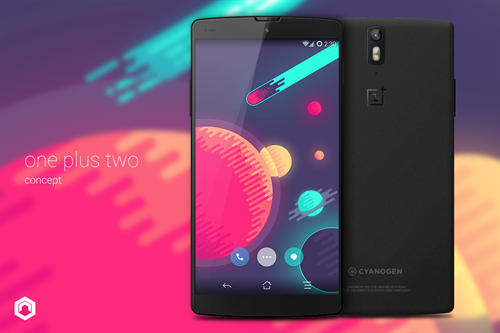 The OnePlus Two will come equipped with a 5.5" LTPS LCD Full-HD display with a resolution of 1920*1080 pixels and pixel density of 401 ppi. The display will be protected by Corning Gorilla Glass 4. There is speculation that the display will be 2K resolution. However, this is not confirmed by the company. Under the hood, the phone will sport a powerful Qualcomm MSM8994 Snapdragon 810 processor with 3GB of RAM. The CPU would be Quad-core 1.5 GHz Cortex-A53 & Quad-core 2 GHz Cortex-A57 and the GPU would be Adreno 430. On the camera front, the OnePlus Two flaunts an HD 16MP AF primary camera with dual-LED flash that boasts of resolutions as high as 5312 x 2988pixels. The secondary camera is also a high quality 5MP camera. The camera features HDR mode, geo-tagging, touch focus, panorama, and face detection to name a few. There is no information on the sensor that will be used. However, keeping in mind the specifications of the OnePlus One this camera may feature a sensor from Sony. On the connectivity front, this smartphone will be 4G LTE enabled and will host a plethora of connectivity options such as 3G, GPS, OTG, NFC, WiFi, Wi-Fi Direct, DLNA, Hotspot and Bluetooth connectivity. The smartphone will integrate a premium non-removable Li-Po 3300 mAh battery. The OnePlus Two will be available in 16 and 64GB variants and will not support expandable memory. Just like the OnePlus One smartphone, this phone will be available in two color options: Silk White & Sandstone Black. The hardware specifications on this smartphone are impressive. On the software side the company has taken matters in its own hands. Initially, industry specialists speculated that this smartphone would run Cyanogen's latest offering. However, due a fiasco between Cyanogen, OnePlus and Micromax caused due to some legal litigation, the Chinese manufacturer decided to part ways with Cyanogen. 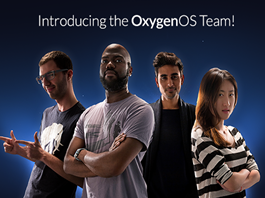 The OnePlus Two will incorporate an Oxygen OS – a system developed in-house by the company. Much like Cyanogen, this OS is based on Google's Android. OnePlus recruited leading software developers to work closely with the in-house team to deliver a unique UI. Interestingly, many of the recruited software developers have worked with Cyanogen's competitor - Paranoid Android in the past. The team behind Oxygen OS mentioned that the system will be fast, battery efficient, clean and will have no bloatware. Just like Paranoid Android, this system will be highly customizable and will have a community driven approach. The smartphone mobile segment is moving quite into the higher price zone, with new players coming in with products greater than INR 20,000. Here is the price list of such smartphones. Do share your favorite pick amongst them! Will this device be able to make much headway? I strongly doubt. Given the "not so bright" market performance of One Plus One, I would not expect to it to gain better. They need to be a bit fast in launching new devices. Bigger brands like Samsung or LG can afford to announce a new device now, launch it four months later. One Plus should emulate Xiaomi in their marketing strategy. Xiaomi keeps track of other big launches, and times its own devices strategically. Like they did to Moto E2 with Redmi 2. Having no expandable memory slot could be a disadvantage. The hardware and software specification on this smartphone are really impressive.